Flexi®-Pave is a porous, non-cracking, insulating, and flexible construction material that can be used for a variety of applications. 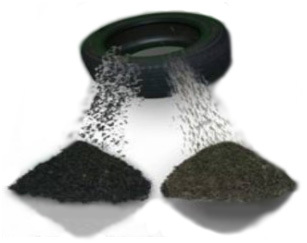 This revolutionary product is environmentally friendly and composed in part from recycled waste tires. Flexi®-Pave is mixed directly on the installation site and cures in just 24 hours. The result is extremely porous, heavy duty, and dynamic in its physical nature. It is designed for low speed applications with pedestrian and vehicular use, and bonds without trouble to adjacent construction materials. The pervious composition of Flexi®-Pave also allows vast amounts of water to flow through making it the perfect solution for urban storm water management problems. What is Flexi®-Pave made of? Flexi®-Pave uses a 50 percent ratio of stone and recycled tires. It is then mixed on-site with a urethane binding agent and applied as a single monolithic pour. The resulting mixture has the capacity to bind with wood, steel, concrete, aluminum, compacted aggregate, enamel tile, or fiberglass. Furthermore, it is resistant to transmission fluid, brake fluid, gasoline/diesel, hydraulic fluid, salt water, chlorine, ozone, bromine, muriatic acid, and magnesium chloride. These properties make Flexi®-Pave unique among surfacing and porous pavement solutions. 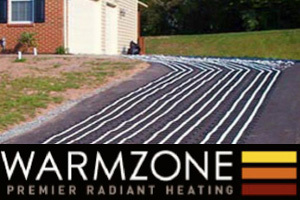 Couple Flexi®-Pave with a Warmzone radiant heating system! Extremely Porous: allows for ground water recharge and storm water management (BMP’s), 2,000 gallons per square foot/per hour!